An Audi is a very nice car to own. What's great about owning an Audi is not only does this brand of car look great, but it also performs well. While there are several luxury brands that produce cars that look great, it's not uncommon for these cars to fall short in the performance department. Fortunately, this is not the case with Audi. When you get behind the wheel of an Audi, you know that it was made by a company that cares about performance. Although the vehicles made by Audi run very well, you're still going to encounter problems from time to time. If you want to be able to handle these problems on your own, you need an Audi diagnostic tool. There are several benefits to purchasing your own Audi diagnostic tool. When you own this type of tool, you will be able to get live data about your Audi. Instead of guessing what's going on with your car, you will be able to see exactly what's happening with it. Having direct access to this data will allow you to figure out what's wrong with your vehicle. Because you'll be able to do this on your own instead of always needing to pay a mechanic, you will save a substantial amount of money. One of the problems that an Audi diagnostic tool can identify for you is an issue with timing. If your Audi is having problems with its timing, this can cause it to miss while it's idle. It can also cause it to miss when it is above idle. Additionally, a timing problem can create backfiring. WIth your own Audi diagnostic tool, you will be able to easily find out if your Audi is currently experiencing problems with its timing. By getting this information, you will then be able to make a smart decision about how you're going to fix it. Another piece of information that you can gain from an Audi diagnostic tool is the vehicle's fuel pressure. One of the symptoms of problems with fuel pressure is that your car won't accelerate properly. If you determine that the cause of your problem is the car's fuel pressure, you should be able to fix it by adding a new fuel pump and filter. 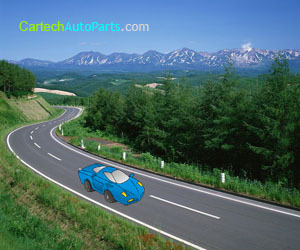 However, you don't want to blindly make the decision to buy these parts and install them in your car. Instead, you want to use this tool find out for sure if you're experiencing a problem with your fuel pressure. An Audi diagnostic tool can also give you insight into temperature issues with your vehicle. If your car is getting too hot, it can cause it to overheat. If this happens, it can cause damage to your engine. Because fixing an engine can be very expensive, you want to avoid this type of problem as much as possible. In addition to having problems with too much heat, your Audi can also have issues if your car isn't getting warm enough. Using a diagnostic tool on your Audi will also inform you of any issues with your vehicle's throttle position. There are several symptoms of a car that is having a throttle position issue. The first is that the car can buck and jerk while you are trying to drive it. Another symptom that may indicate this issue is that the car surges while it's idle. Additionally, if your car is suddenly stalling, it may be a result of this issue. If you've experienced any of these symptoms, you can use an Audi diagnostic tool to quickly find out the current condition of your vehicle's throttle position.